We have a lot of very cool new features for you in the new version of Storyboard, and the best part is that it’s a free upgrade for all existing Storyboard users. Wondering what’s new? Want to be more creative with your blog layouts? Think a row of images would look better as three squares instead of three horizontals? Enter On-The-Fly cropping. Just hold the option key (alt on Windows) when clicking “Open” in the window that asks you to select the images you want to storyboard. The options are endless. 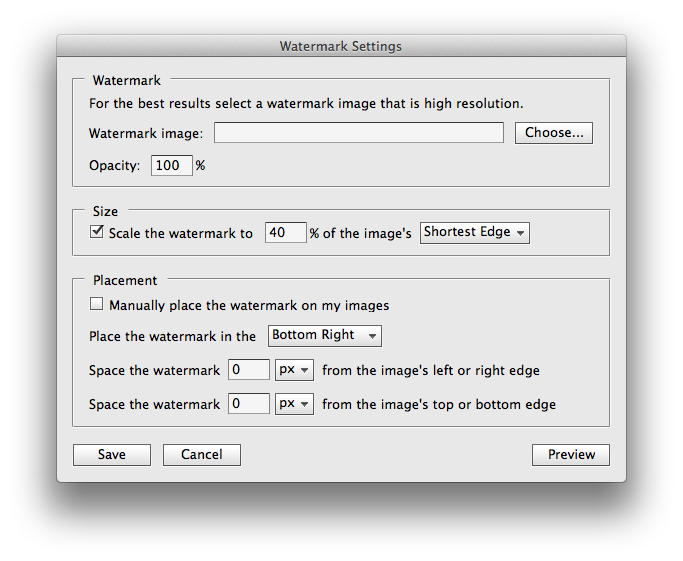 Once an image is toggled for cropping, we’ll pause everything and let you choose the crop you want. Once you have it the way you want just hit enter and we’ll carry on. We default the first image to a square for you, but you can change it to any shape and size you want. If cropping more than one image, we’ll remember the last aspect ratio you used! 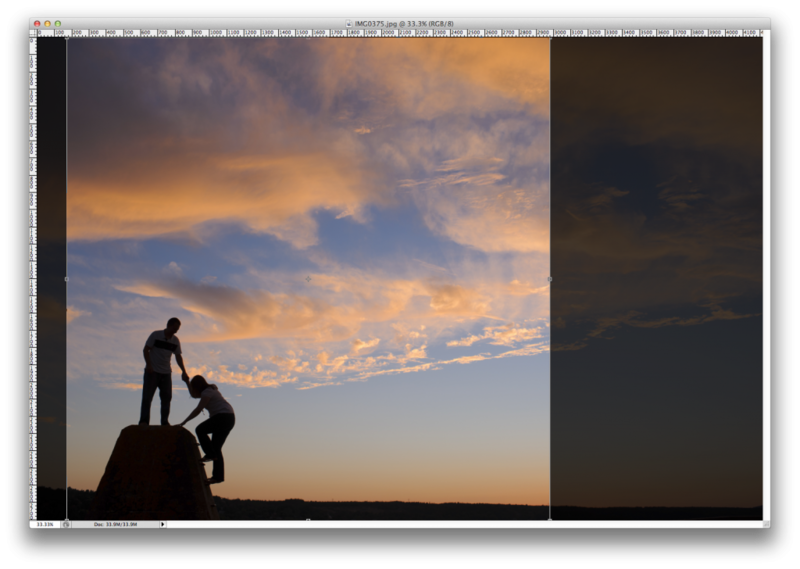 Pro tip: Holding shift and resizing the crop in the corners will keep the aspect ratio locked. 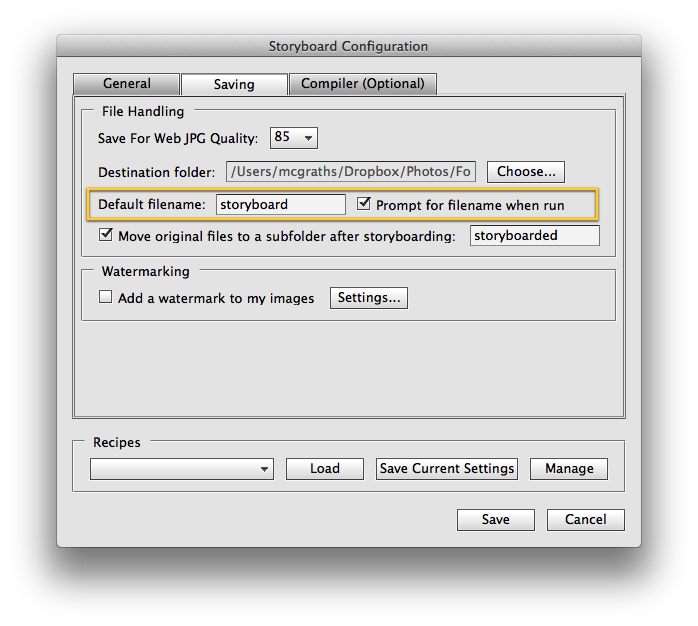 Robust watermarking options are now available from within Storyboard. Regardless of your watermarking style, you should be able to find something that works for you. Have multiple watermarks that you use? No sweat, just use our new Recipes feature, mentioned below, to toggle between them. 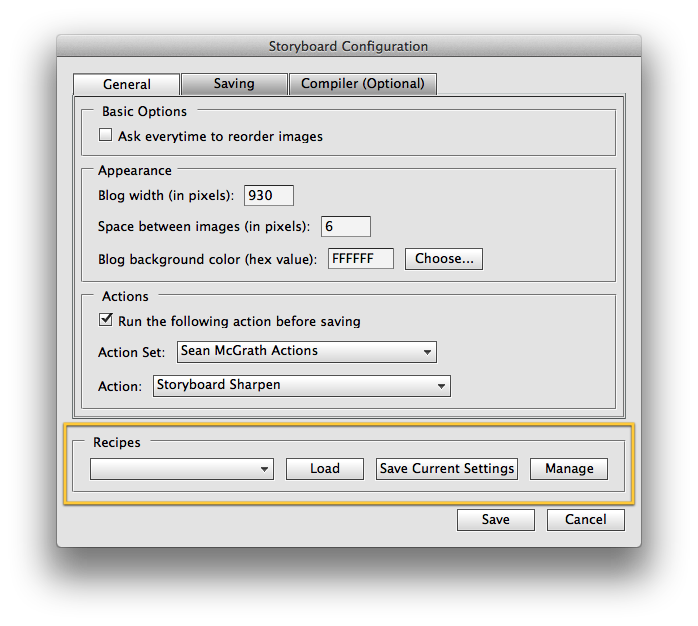 Have multiple blogs that you use Storyboard for? Always tweaking your settings? 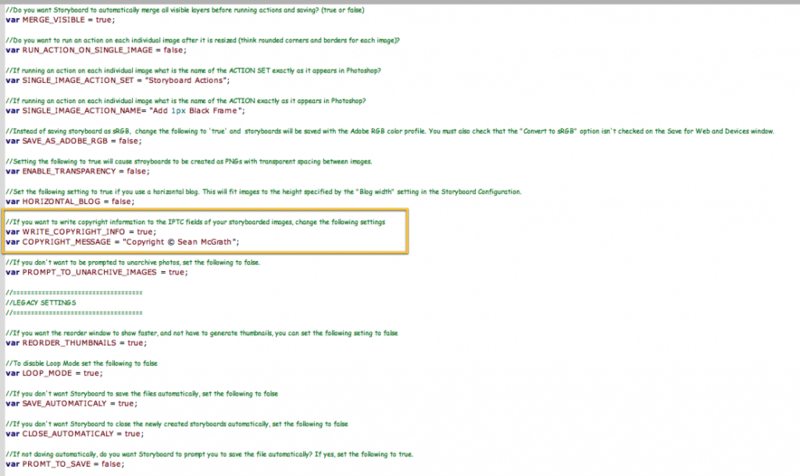 Want to have different settings for creating storyboards for Facebook? Now you can save your most common settings as recipes and load them up in seconds. 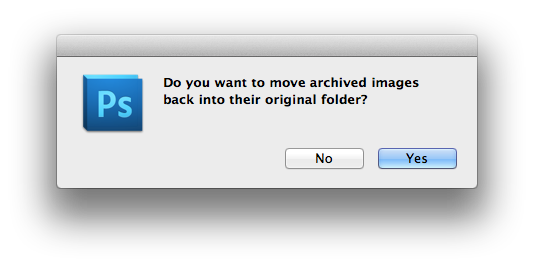 One thing we ran into when using Storyboard in the past, was that if we were archiving images as they were storyboarded, we’d often have to go back in and manually move those archived images back to their original folder. 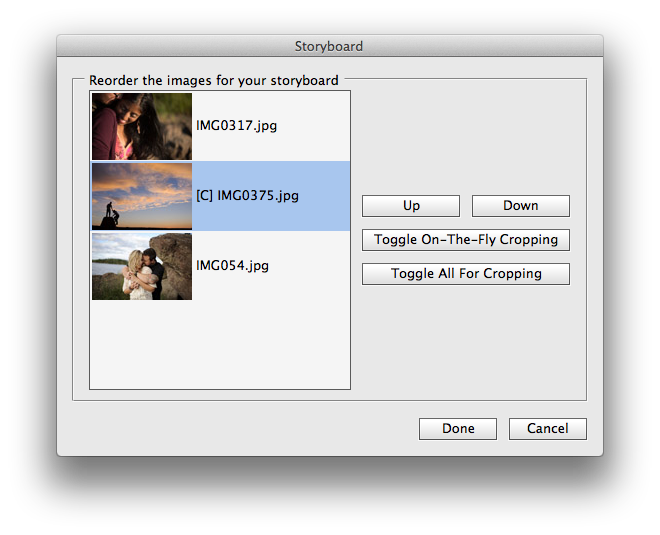 Now Storyboard can do that for you automatically! For any of you SEO freaks, this one is for you. 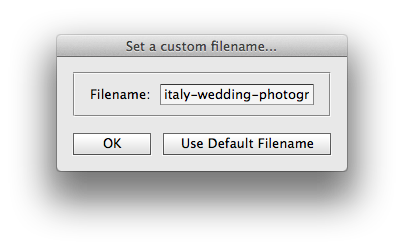 Now you can set a custom filename every time you launch Storyboard. Now you can specify some copyright information in the Advanced Settings file that will be added to all your newly created Storyboards. You can find AdvancedSettings.inc in the “include” folder of the Storyboard folder you installed into Adobe Photoshop CSX > Presets > Scripts. Just open this file in any text editor and change the highlight settings below. This is great news! Can’t wait.. 🙂 Looking especially forward to take advantage of the On-The-Fly cropping feature. Looks amazing and I can’t believe it is a free upgrade! Thank you! For some reason I can’t edit copyright information. I can’t save the file after editing. It’s not open in any other program, but it Notepad++ says “Save failed – Please check if this file is opened in another program”. No luck with the basic Notepad either. Hi Johanna, have you tried closing Photoshop entirely and then editing the file?